Logical Gal asks: What ‘grounds’ or provides a rational basis for what we do? I often argue with myself. I split into two contrary views and dialogue back and forth in my thoughts. Al Mohler prompted a recent mental workout. Besides serving as president of Southern Baptist Theological Seminary, this thinking and articulate man offers a daily worldview analysis about leading news headlines and cultural conversations. The topic he picked up last week dealt with assisted suicide and euthanasia. Turns out that the assumptions of secular society and those of Christians are completely different. More and more countries are basing their policy decisions on the presupposition that we are in essence just ‘autonomous accidents’, whose dignity derives from this autonomy and the freedom to choose what WE decide is good for our human flourishing. 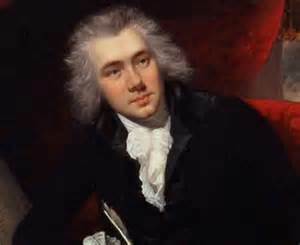 What about Wilberforce? This 19th-century Christian parliamentarian worked years in that British legislative body to end the slave trade. Should he not have tried to influence government and society? What about the issue of slavery in the US? or 20th and 21st century legalized abortion? Should citizens not petition their representatives and try to work within the system to change laws? And lest we think that God only addresses Christians’ interactions with the wider society in the Old Testament, the New Testament ‘boils down’ the Christian’s ‘marching orders’ to two: Love God and Neighbor. So, after only a few minutes of rational debate within myself, I concluded that as Christian citizens and neighbors, God does call us to work for what honors God and helps our neighbor flourish as His image-bearer. ← God gave you a brain, so use it! Outstanding article. Thanks for this. I strongly agree that “God does call us to work for what honors God and helps our neighbor flourish as His image-bearer.” The next logical question is “Which God-honoring standards of behavior should be law and which shouldn’t?” I’d love to know how you approach this question. Is there a logical and systematic method for drawing this line? Thanks, Cody, for reading and your thought-provoking Q. I’ll ponder and maybe that’ll be the basis of a next blog!